Hokubei Shihankai, also known as the Japanese Karate Masters Association of North America or the Hokubei Karate-do Shihan-kai, was founded in 1994 as an organization dedicated to promoting, cultivating, and maintaining an understanding of the principles of traditional Japanese martial arts, both technically and philosophically. There are 36 founding members of the Hokubei Shihankai, who have achieved "Master Level" status in their art, and who teach traditional Japanese martial arts in North America. 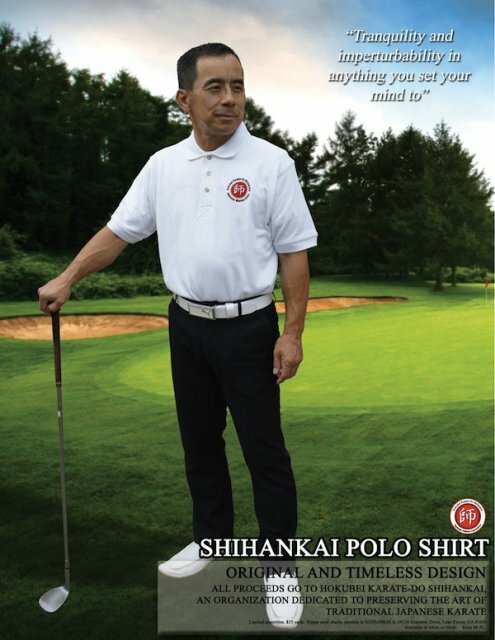 To learn more about each of Shihankai's founding members, click here. The experience and knowledge of these 36 founding members represents the collective wisdom of generations and centuries of traditional martial arts in Japan. Consequently, Shihankai's members seek to educate the people in the West as to the true meaning of the traditional ways of Japanese martial arts, and to set forth guidelines for upholding the high standards of teaching these arts. Further, Shihankai seeks to promote friendship and understanding among its members, which consists of many varying styles of traditional Japanese martial arts. 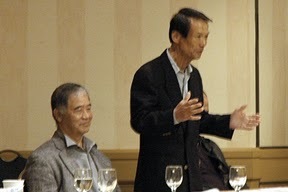 For its first major fundraising event, Hokubei Shihankai hosted its world-premier event Masters of the Rising Sun - the Soul of Traditional Karate on October 6, 2007. Here Shihankai's founding masters performed and demonstrated at the Performing Arts Center (Recital Hall) at Purchase College (State University of New York). Never before in the history of the martial arts had so many masters of various styles shared the stage and co-sponsored such an event. Hokubei Karate-do Shihankai is based on a philosophy of non-Ryuha (style), non-Kyokai (association) exclusive and stands above all such styles and associations to embrace mutual respect and trust. Hokebei Shihankai members therefore open their heart and learn from each other's technical and philosphical attainments. Hokubei Karate-do Shihankai now welcomes American masters to the organization. The fouding masters of the rising sun consider it a honor to hand a torch of legacy to American karate practitioners. There are much to be done by the founding masters to reach the goal. But we are determined to reach the goal hand in hand with American masters. To view a listing of all our officers and committee members, click here. Below you can see our founding members. For a full listing of our members, click here.